The world of blog traffic growth can sometimes feel a little overwhelming, especially if you’re new to the game and wondering where to start. Wouldn’t it be nice to have a comprehensive list of proven tactics you could follow? 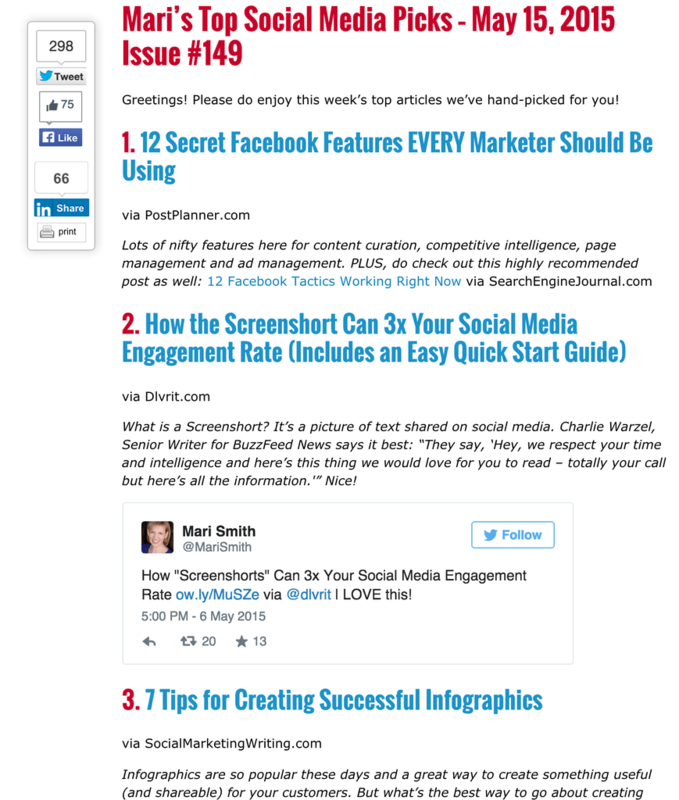 Andy Merchant created an impressive list of 35 ways to attract readers. After reading through his list, I was inspired to do a follow-up post that shows you how to implement many of his great ideas in growing blog traffic. We won’t cover all 35 – some don’t require much explaining. However, others require a few steps and for that reason, I’ll expand upon Andy’s ideas over several blog posts. There is a reason why we listed search optimization first. It is the number one source of blog traffic (when done correctly). It takes work but well worth the time, and the results speak for themselves. Andy Merchant: To grow your blog traffic, readers must find you in search engine results. Make sure to optimize your blog content for SEO by creating Meta descriptions, using relevant keywords and linking your blog to other websites, among other ways. Also, make your blog’s infographics, pictures, videos and everything else SEO friendly. The opening of the tag “<head>” has some other tags in there. As the name implies, this tag houses the heading of each page. Within this heading, you’ll see another tag entitled “<title>”. The information in between the opening title tag and the closing title tag is where the metadata for your Web page will appear. In a search engine, this will be what the name of the page is, often underlined in blue and hyperlinked to your page. For every page on your website, you need to add applicable and relevant keywords, so the search engines have an idea of what your page is about. On the page itself, website visitors will not see this metadata. They will, however, see it in the title bar of the window. To that extent, you need to keep the title short with either one keyword or one keyword phrase so that the search engines have an easier time finding your page. Use keywords that allow your business to stand out. It’s important to get the right kind of blog traffic to keep your exit rate low and time on site high. Search engines take these things into consideration when ranking your site. Your mission is to make it simple for people to find you. Directory Bug has an excellent list of 100 local directories to submit your information to so that people can find you. Business Directories are an easy and often free way to grow blog traffic. Every place you send your information is just one more chance customers have to find you. Take the time – even if it takes a couple of hours – to submit your information to each and every directory. Every directory that you fail to provide information to can be seen as the same as if you left money behind on the table. As important as it is to modify the title tag on each of your Web pages to match the page content, schema markup gives search engines the ability to classify your page even further. As a local business, you probably hold events. Schema markup will allow the search engine to scan your page for specific “rich snippets” so that these events will appear dynamically in the SERP entry. The interesting thing about schema markup used in this manner is that the dates and events are dynamic. If the date was September 28, and you had an event October 3, the entry for that event will only be in the search engines up until October 3. Once the date comes and goes, the event will no longer show up in the SERP entry. It will go away dynamically, without you having to change anything manually. Schema markup not only tells a search engine what the data says, but it tells the search engine what the data means. A dynamic collaborative effort from Google, Bing, and Yahoo! put together a website, schema.org to help business owners just like you to clearly understand what schema markup is. Essentially, schema markup will allow your website to rank that much better – based on the type of content that is on your site. There is data markup for just about every type of data possible. To give you an idea where you stand regarding SEO, and how much work is ahead of you, SEO expert Art Enke provided us with the tools you’ll need to conduct a basic SEO audit to grow your blog traffic. Google Webmaster Tools provides detailed information for site owners and should be used alongside any other tools you use for an SEO site audit. Of course, this won’t be available for competitor sites, but you’ll gain some valuable tips for your own. Webmaster Tools gives visibility into how content is crawled, provides backlink data, shows which domain is set as the preferred/canonical domain and more. 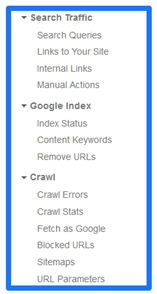 Spend five minutes mostly viewing the sections under “Search Traffic”, “Google Index” and “Crawl”. Under Search Traffic, you’ll see if there are any “Manual Actions” or Google penalties manually applied to your site. If there are penalties present, these will need to be resolved first before the site can perform properly. Important Note: Google Webmaster Tools is useful for viewing general trends and finding trouble spots. However, it is rarely accurate for providing true values and data. In other words, don’t rely on it as a quantitative tool. After discovering general trouble spots from Webmaster Tools, you can then use Screaming Frog to thoroughly crawl all of your site content. It’s a handy desktop application that shows you how Googlebot and other crawlers see your content and can be used to quickly identify priority issues such as duplicate titles, 404 pages, inadvertent directives blocking content and much more. As a bonus, it’s free to crawl up to 500 URIs (note: URIs are different than URLs). 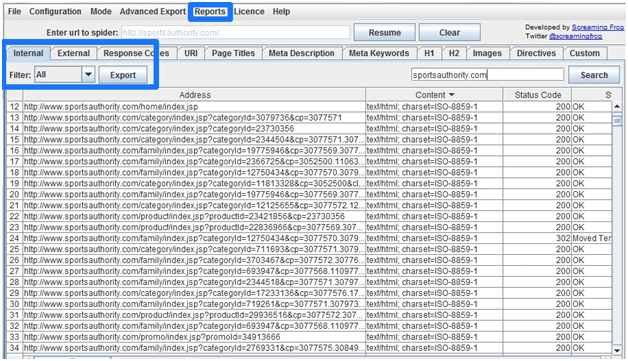 Run Screaming Frog on any domain (competitor sites included) then export a “Crawl Overview” from the Reports tab once the crawl is finished. Even before the crawl is finished (*large sites will take longer), you can export a report anytime during the process by stopping the crawl and exporting a .CSV file with all the data. What’s important here is that you use the above search commands to compare what you discovered in your Screaming Frog crawl and contrast that information with actual content Google has indexed. Quick Tip: Generally speaking, if your site crawl reveals a site has more content (HTTP pages) than what Google actually indexes, the site has crawling/indexing issues. In contrast, if there is much more content indexed in Google than what is found in your crawl, then there are duplicate content issues. There are multiple page speed tools that can give you exhaustive action items for your developer. 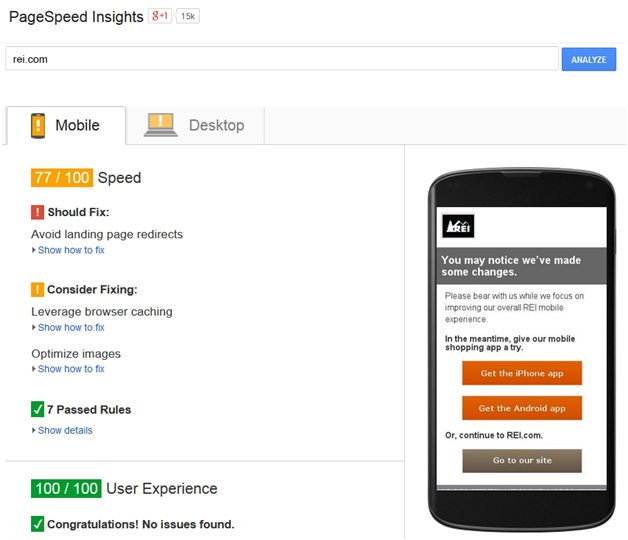 Some of the best are WebPagetest and Google PageSpeed Insights. These provide waterfall views, compression opportunities, script errors, broken file paths and other items which affect page load time. Additionally, you can see very specific site performance issues for both mobile and desktop browsers. In just a few minutes using Ahrefs.com, you can see the number of backlinks pointing to a site along with anchor text information. You’ll like the Ahrefs anchor cloud which reveals which anchor text phrases are most used. If a high percentage of links are coming from a keyword phrase instead of the company’s brand or home page, then the backlinks are over-optimized and prone to Penguin penalties and potential manual action by Google. –> Next, make your infographics, pictures, and videos SEO friendly. Don’t miss the huge opportunity images bring to grow your blog traffic. Google sees about 12 Billion searches per month. Of those searches, 10% are image searches – people are searching for 1.2 Billion images per month. The Image Alt tag is used to identify the best image to return for a search query. From these numbers, you can tell the importance of giving your images every chance to be included in image search results. Image Alt tags are short descriptions added to images to help identify what the image is. The Image Alt tag is added to the end of the image source URL. Search Engines: Search engines are better equipped at reading text (images are difficult to read). The Alt tag is text based. Search engines can quickly interpret what the image is about and display it in search results. Visually Impaired: The visually impaired use special devices to browse the web. Alt tags help the visually impaired identify and interpret what images are displayed on a page. Image Fails to Load: If an image fails to load, the text in the Alt tag is displayed alerting the reader that an image should be there. The Image Alt tag is a great place to include your primary keyword(s) but proceed with caution. Use appropriate text that describes the image. If you don’t, it could negatively impact your website’s SEO. Keep the text short and to the point. Write for humans, not search engines. No keyword stuffing! Write the Image Alt tag as if you had to quickly describe the topic of the page. WordPress makes it easy to add an Alt tag to each image. When you add media to WordPress, there are several boxes for you to complete including the Alt Text box. If you look closely, you will also see the Description field. This field was initially intended to add more context to the image for the visually impaired. Here you can include text from the blog post that supports the details of the image. Like the Alt Tag, the image Description appears in the HTML of the page. Andy Merchant: Each blog post should be focused on a particular subject that people actually care about. These days, subjects are defined by keywords. Optimize keywords throughout your post. Keyword research is essential for on page optimization which leads to more blog traffic. Make sure to write your content for humans. Think quality first. If you have a WordPress site, check your keyword ratio with Scribe. Pack your content with useful facts, statistics and dates. With a single search, this tool can generate up to 750+ keyword suggestions from Google, YouTube, Bing and even the App Store. It’s free, reliable and pretty fast! Our busy editor, Debra Garber, the person who turns my grammar mistakes into poetry (editor note: not going to attempt to correct this analogy…), uses several tools for keyword research. One tool she finds particularly useful is Scribe for Microsoft Word. Determine relevant keywords. What words and phrases will our readers use to find our blog content? Write strong meta titles and descriptions. Meta titles and descriptions tell search engines and readers what’s on the page. Balance keyword density with readability. 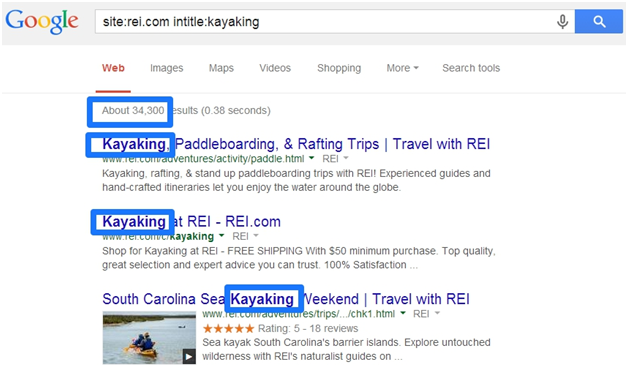 Determine how often keywords appear within the content. I was excited to learn that within Microsoft Word, I could perform keyword research and content analysis using the Scribe plugin. As we constantly are tweaking content until satisfied, no longer would I have to copy and paste from WordPress to Word and back again (and sometimes, again and again) to edit spelling and grammar. Scribe for Microsoft Word makes our complete content marketing software system accessible right from the comfort of our favorite word processor. It includes all the power of Scribe’s keyword research and content analysis – as well as built-in custom Microsoft Word templates – to help you easily optimize all of your online content right from within the world’s most used word processing app. Talk about a time saver. Getting started with Scribe for Microsoft Word was easy. It took me less than two minutes to install. Just make sure you have your API key handy. Here’s an example of the Scribe Blog Post template. As you can see, the template is intuitive and user-friendly. The next step is to tweak your content for your WordPress SEO goals. The best part is, you do not have to leave Word until you are ready! Andrew Merchant: Readers like lists and how-to posts because they know exactly what they can expect from such posts. By adding relevant data and depth to list posts, you will convert readers more effectively. 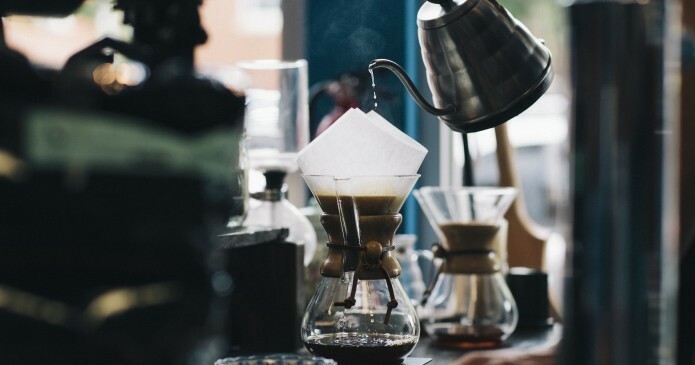 Whether you’re a small business owner who fits in content marketing when the schedule permits or a full-time blogger, a curated roundup post (also known as a listicle) or List Post can be an excellent way to grow blog traffic in your niche. They’re also great at growing blog traffic because of how likely they are to get shared. But, what is the real secret behind roundup posts? And, do they help grow blog traffic? 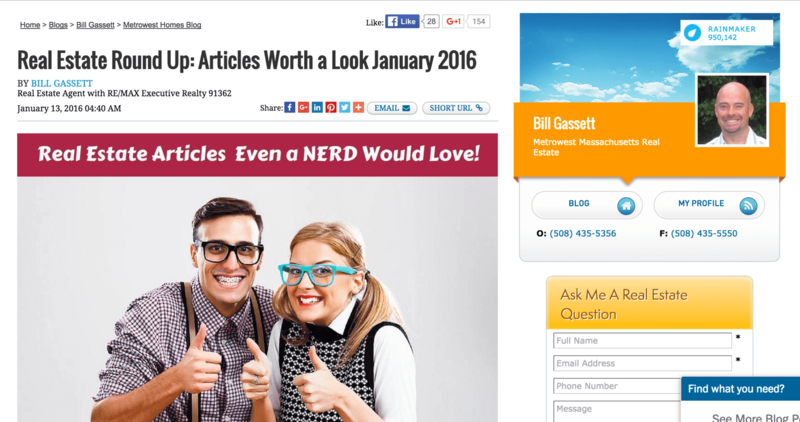 Ask the Experts: Why do Curated Roundup Posts Work So well? The late Cindy King of Social Media Examiner was simply the very best at creating curated list posts. Her post on 44 Social Media Tools Recommended By The Pros is currently the most shared on the Social Media Examiner site in the past 12-months. As a specialized form of content curation, roundup posts are the content marketing gift that keeps on giving when done well. Last year was an epic year for round-up posts. Content marketing can offer significant advantages to a real estate agent. It offers an inexpensive way to build a brand, grow blog traffic to your website and increase the number of leads that come your way. But keeping up a steady stream of content for site visitors is also a lot of work. If you are like most agents, you probably have your hands full with your real estate work, and therefore a limited amount of time to spend writing original content. But what separates a bad roundup post from an optimal one? What makes a roundup post perfect? Do they really help grow blog traffic? Easiest way to 3x your blog traffic & shares. We’ll find @mentions in your post and let you notify them with one click. Read part 2: The Ultimate Playbook for Growing Your Blog Traffic! I would love to hear your thoughts on the tips we provided to grow your blog traffic.